Love, lies, adultery, and death. Ashley and JaQuavis introduce readers to London, a beautiful immigrant from Trinidad. She was given to her husband by her father in order to settle a debt. Standing by her husband's side to make him the envy of his associates is a day in the life, but behind closed doors, their relationship becomes cold, and the abuse that she encounters has her looking for a way out. When she meets a young thug named Kalil, he opens her eyes to a world she never knew. Afraid of the repercussions of her actions, she avoids Kalil at all costs, but his relentless pursuit makes their love inevitable. 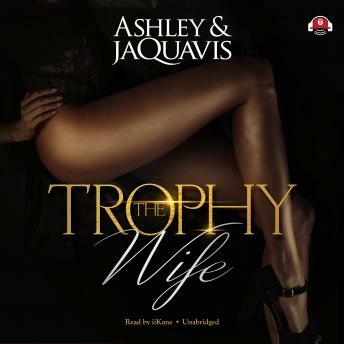 Enter the world of The Trophy Wife. Her story will keep you guessing until the final page, and the outcome will leave you breathless.